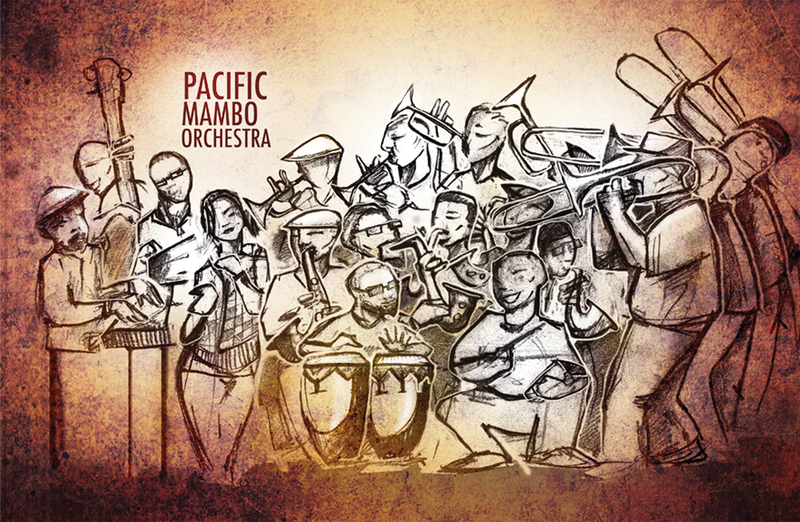 A twenty-piece San Francisco based salsa band! These guys are amazing. In 2011, I went to one of their performances in San Francisco with my sketch book, and sat in a corner and went to work. The dance floor was packed, the atmosphere was electric, and everybody had a smile on their face. Afterwards I presented it to the band members, and they loved the illustration, thus starting my relationship with PMO. They subsequently commissioned me to do their logo, which they used on their 2013 album, which went on to win a Grammy Award for Best Tropic Latin Album. I am currently working on concepts for their next album, which will be based on a painting that I will paint live at their next San Francisico Event in May 2015.